Are your able to monitor how effectively your local and remote test assets are being used? The TRUE Reports provides an automated and consistent method to monitor test utilization at local or remote sites from anywhere! Test Resource Utilization & Efficiency (TRUE) Reports is a test utilization reporting solution that turns test data collected by Shop Floor Connect into the information needed to monitor and analyze how test assets are being used on the electronics manufacturing shop floor. TRUE Reports monitors test performance and test utilization on the shop floor so engineers can see how effectively resources are being used and to determine the root causes for poor test utilization. Derby TRUE Reports can run as a stand-alone solution or can be added to Derby’s Shop Floor Quality (SFQ) and Shop Floor Monitor (SFM) applications, making it possible to automatically monitor test utilization via the Internet at local, remote and contract manufacturing sites. TRUE Reports support 10 standard reports that monitor test performance and utilization on the shop floor. There are over 80 report options that provide the flexibility needed by users to segment utilization information by location, date, time, machine, fixture and operator, which greatly improves monitoring and root cause analysis. TRUE Reports supports automatic report scheduling and email delivery, which simplifies the process of sharing information with local, remote and mobile teams. Automated report distribution gets information “to the right person at the right time” so everyone can stay in sync and collaborate to make improvements. TRUE Web-Dashboards allow multiple reports to be grouped together in a single display, so a specific test process or a collection of Key Performance Indicators can be quickly monitored at a glance. Web-Dashboards can be configured to automatically update reports periodically so the utilization information being displayed is always current. Web-Dashboards support a variety of use-models for sharing information allowing shop floor personnel or engineers in design centers to see the same real-time reports, which create the transparency needed to improve collaboration between dispersed teams. Web-Based Analytics — Improves performance and prevention with easy access to test utilization information from anywhere. Built-In Utilization Reports — Fast ramp-up with standard utilization reports that were specifically designed for electronics manufacturing test workcell. The reports are configurable so users can easily define what information they would like to monitor by location, product or date/time. No need to spend time developing custom reports! Flexible Data Publishing — Reduces user set-up administration, as reports are created periodically and automatically. Automatic Report Distribution — Email reporting and text alerts ensure that everyone is kept in sync even if they are not at their desk. Flexible Solution Delivery — Derby Insight is a multi-tier web architecture that enables the solution to be implemented as a cloud-based or on-premises solution, providing the customer with the freedom choose the solution that is the best fit for their operational needs. 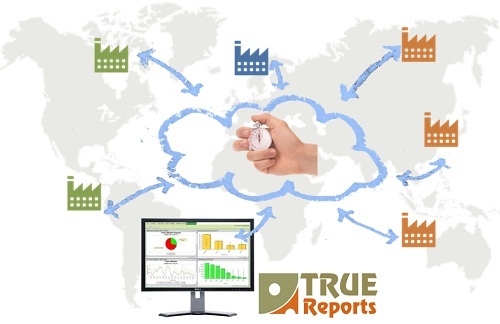 TRUE Reports uses test event data to create insight into how effective test assets are being used on the shop floor and across the global electronics manufacturing supply chain to enable companies to “do more with fewer resources”.